I love cake donuts and these sound fantastic!! Who doesn't love cake donuts!I think I'd pair mine with your lemon curd - yummy!!! I would be a lot happier to wake up if I had a batch of these waiting for me! Yum! These are just stunning! Isn't it amazing how you remember things...like where you first learned how to cook! I'm glad you learned....you are an AMAZING cook! These sound and look wonderful. I just bought some sour cream for another recipe that only uses about a tablespoon. I was just thinking I need to find something else to do with the rest. Foud it! 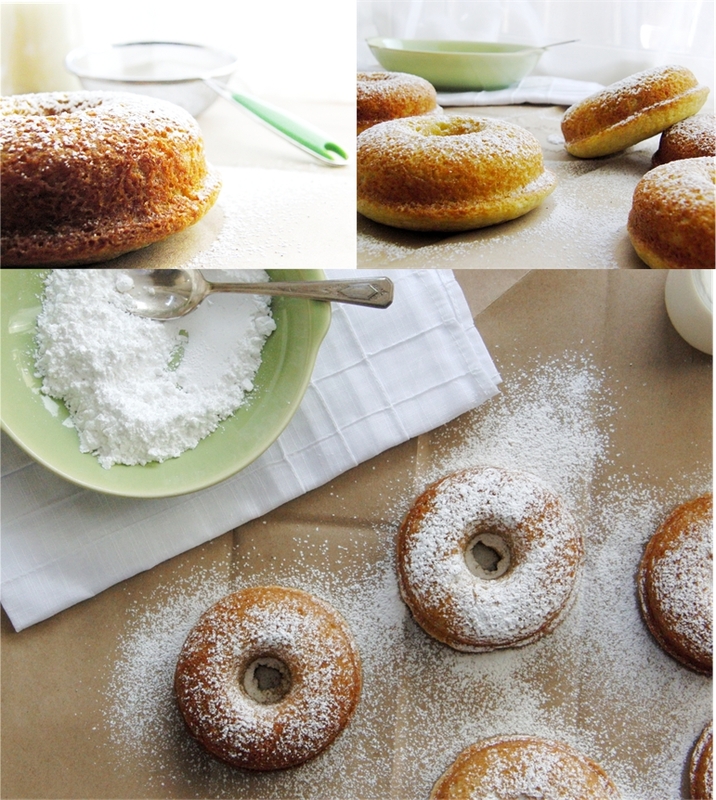 Second donut recipe of the day that I absolutely have to try! First must get donut pan but after that, I have to try these. They look amazing!